The Olympic Torch Comes to Bracknell! Yesterday morning, Andy Jackson ran with the Olympic torch. Yesterday evening, he came to our house for site pastors and worship leaders training...and brought the torch with him!!!! Oh the fun we had - much posing and posturing! 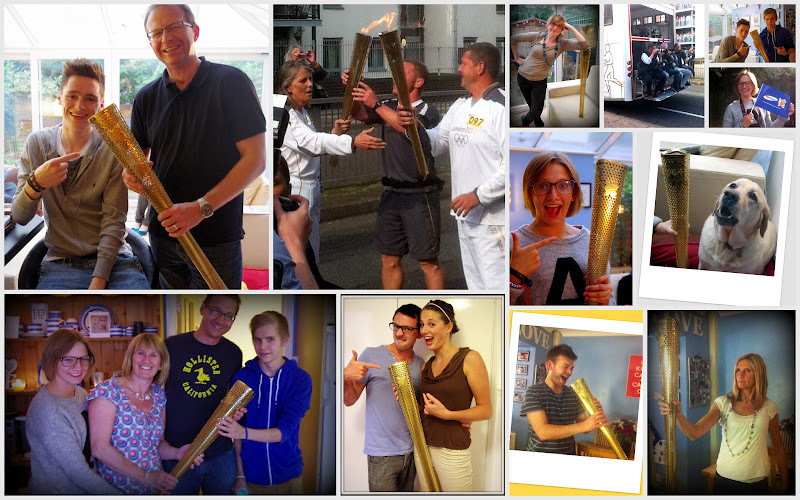 Andy's kindly letting us all have a hold of the Olympic torch - in exchange for a donation to CAP. As he says "I expect you have already heard me say that I’d like us to keep the Torch here for as long as it is of interest to people coming into the building and, at the same time, raise some money for our CAP Centre. There are 8,000 holes in The Torch (one for each Torchbearer and each mile covered by the Flame) and so the target is £8,000. To donate, you could either buy/sponsor one of the holes for a £1 (or more for more) or, for a donation, bring your phone or camera and have your very own photo with a piece of Olympic history".